It’s amazing when you suddenly realize people actually do the things described in idioms. Take “Don’t pull your hair out” as an example. You might think this an exaggeration, that no one would literally pull out their hair in angry frustration. Well, think again. The medical world, never short of a good word to label even the most unlikely of disorders, came up with trichotillomania. This is a compulsion to pull out your own hair. Usually, it only affects the scalp hair. This is, after all, easier to get hold of. But it can affect all body hair, leading to people looking like newly plucked chickens. For want of somewhere to put the label, it’s been decided this behavior is part of obsessive compulsive disorder — think Monk, the television detective show and wonder what it would be like to see Tony Shalhoub with even less hair. You have noticed he has male pattern baldness, haven’t you? Now imagine him obsessively twirling what’s left of his hair around a finger and, just when he’s about to solve the crime, he pulls out the hair by the roots. Now that would make compulsively watchable TV. Anyway, when experts get together to talk about disorders like this, they estimate it affects about 1% of the population. For the majority, it’s not a serious problem. Fear of the hair loss becoming too obvious acts as a brake on the habit. But for the minority, the habit cannot be resisted and formal treatment is required. Except, the average physician in general practice tends to be unsympathetic. “All you have to do is stop pulling your hair. How can this be difficult?” This is one of these really annoying responses. If people could stop on their own, they would not be asking for help. Like baldness from a physical cause, the damage is to self-esteem. You cannot easily hide the bald spots that appear on your head. Wearing a wig is always obvious. Sooner or later, you have to take off the baseball cap. And when friends and colleagues see the problem. . . The best solution is cognitive behavioral therapy to teach people the way to change their habits. It’s all a case of distracting yourself, of finding a different way of occupying your hands rather than touching your hair. So the moral of this story is easy to tell. If you are one of the unlucky men who finds male pattern baldness appearing, don’t make the problem worse. The other idiom that rules here is, “When you find yourself in a hole, stop digging.” No matter how tempting it is to touch your hair or rearrange it, just buy Propecia and take it. 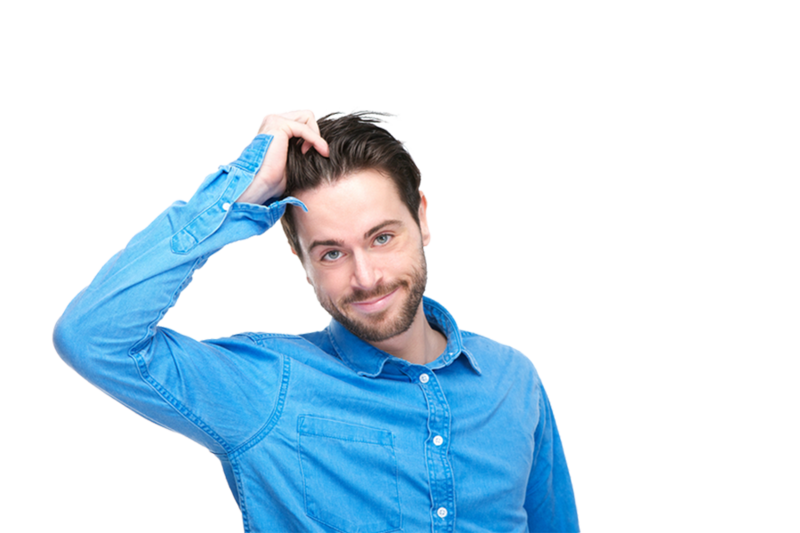 So long as you start early enough in the hair loss cycle, the loss will slowly stop and some hair will regrow. Anything else is just going to make the problem worse. As a final word of advice: because it takes so long for visual evidence to show the Propecia is working, always have a doctor confirm the diagnosis of male pattern baldness before you start taking it.